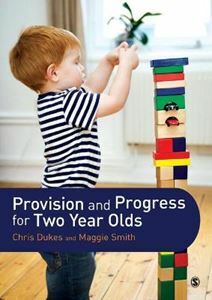 Quick overview This essential resource offers guidance, tips and tools covering all aspects of provision and best practice to successfully provide for two-year-olds in your setting. Understanding How Children Learn is a vital part of working with children. Every child is unique and understanding differences in learning helps all to benefit. This book goes beyond simply understanding the work of key theorists and the various theories of learning to recognize what learning actually looks like and how it is best facilitated in any setting. Each chapter includes: *Exercises to help you evaluate your understanding and practice *Examples taken from real experiences to illustrate concepts beyond the theory *Summaries to help you take the key messages from each chapter *Suggestions for further reading to help push your own learning further Looking at key topics such as brain development, technology in childhood and barriers to learning, this book will explain what learning really is. Sean MacBlain is Reader in Child Development and Disability at the University of St. Mark & St. John.